We serve hundreds of companies in every major industry, including retail, hospitality, professional trade services, manufacturing, business to business and business to government. Expense Management Services (EMS), has created a one of a kind business model that helps businesses effectively reduce this growing expense category and in most cases, without ever having to switch providers. Unlike a processing company who derives their profit by how much they can charge each merchant for processing services, Expense Management Services earns by how much they save their clients. Rick Goodman has over 40 years of experience in business management. He is currently the President of Showcase Promotions, Inc., a successful promotion company for over 30 years. To further enhance his client’s needs, Rick received training as an agent for a large credit card processing company. While working as an agent he noticed that merchants had a difficult time understanding their processing statements, and therefore could not understand the charges. Merchants also weren’t aware of costs associated with credit card processing making it impossible to negotiate with their processor. Processors tend to raise merchant’s rates many times without the knowledge of the merchant. Rick wanted to be honest with his clients and share his knowledge about credit card processing. He decided to educate his clients about fair industry rates and how to retain those rates for the life of the business. He found the most knowledgeable experts in the electronic payment industry and put together a dynamic team to help the merchants. He also brought on board Fred Armendariz and his team to help reduce other non-core costs associated with organizations. He considers his clients business partners for life. Merchants deserve to be educated through truth, compassion and transparency. On a more personal level Rick enjoys morning walks on the beach, surfing and spending time with family and his dog Charlie. He practices Buddhism and tries to help people experience absolute happiness. Prior to joining the company he has held senior executive positions in both the private and public sector, including the service to one US President and two California Governors. In 1989 Mr. Armendariz founded a technology company and served as its CEO until its sale to a public concern in 2000. While CEO he and his company earned many awards and distinctions including being named to INC Magazine’s 500 fastest growing companies in America, as well as being a finalist for the Ernst and Young Entrepreneur of the Year Award. After the sale of his company, Mr. Armendariz accepted an appointment by President George W. Bush to the US Small Business Administration. In this position he oversaw the Federal Government’s small business procurement policy, business development initiatives, training and other programs aimed to assist American businesses grow and flourish. In 2005 he returned to California and was appointed as the Chairman of the Alcohol Beverage Control Board serving Governor Arnold Schwarzenegger and subsequently Governor Edmund G. Brown. In 1998 Mr. Armendariz created a private equity fund to make investments in a variety of businesses and ventures. To date his fund has held equity positions in the technology, automotive, real estate, online training, government communications, and entertainment industries. As a result of having investments in a wide and diverse grouping of businesses, he learned firsthand the importance of industry specific advice and counsel. This real life experience has helped him understand the value associated to the Expense Management Services’s team and how their knowledge and experience can a have dramatic positive effect to a company’s bottom line. Mr Armendariz is a graduate of the University of Southern California and is active in many civic and philanthropic organizations. He has sat on several private and public boards and commissions including: the Federal Procurement Council, the Presidents Commission for Educational Excellence for Hispanic Americans, Saddleback College, Business Credit Leasing, the Orange County Lincoln Club, and is reserve Deputy Sheriff with the Orange County Sheriffs Department. Rick Garboski, has been acknowledged as a CERTIFIED PAYMENT PROFESSIONAL by the Electronic Transaction Association, the leaders in our industry. Currently, there is only a handful with this designation in California. 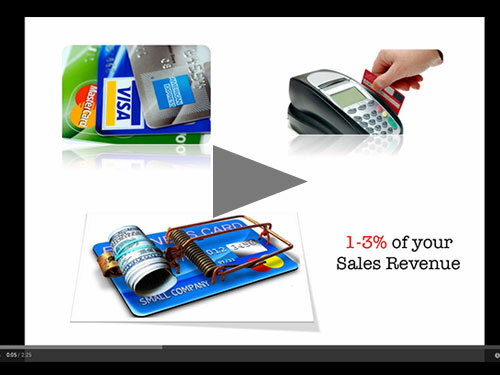 Since 2003 he has been involved with over 4500 merchant accounts. In August 2015 he will have processed his $1 Billionth dollar in Visa/MC processing volume! His expertise in this field will assure Expense Management Service clients the best possible care. Adam Pflaumer has over 20 years of experience in the merchant credit card processing industry. Adam began his career in the merchant payments industry in 1994, and since he has held senior management positions for the most reputable firms in the merchant card acquiring industry including First Data, Union Bank of California, Global Payments and most recently Connect Merchant Payment Services where he held the position of President until 2007, at which time he stepped away to form one of the first “processor neutral” expense management firms specializing in payments. Mr. Pflaumer’s expertise includes pricing, interchange, transaction delivery systems, chargeback and risk mitigation, PCI (Payment Card Industry) compliance, point of sales equipment, customer and sales support call center management, residual reporting systems, merchant service contracts, and supply management. Mr. Pflaumer is a member of the Electronic Transaction Association and holds a Bachelor of Science, Business Administration (Finance) from San Diego State University.